New Delhi : As winters are all set to hit the national capital, its trailers and teasers are raining this week. A day after Aamir Khan released trailer of his upcoming movie Dangal, Hrithik Roshan came up with a teaser of his movie Kaabil. With teaser, the makers also announced the date when they will be releasing trailer for the film. 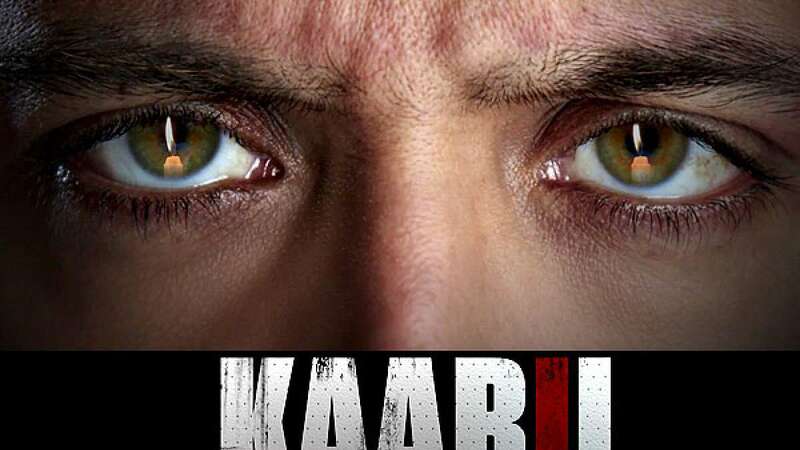 Keeping up with the tone of the film, where Hrithik Roshan will be playing the character of a blind man, the teaser also stays away from clean visuals and offers thrilling voice. In 41-second long teaser, Hrithik Roshan can be heard saying "Aap ki aankhen toh khuli rahengi, lekin aap kuch dekh nahi payenge. Aap ke kaan khule rahenge, par aap kuch sunn nahi payenge. Aap ka muh khula rahega, lekin aap kuch bol nahi payenge. Aur sab se badi baat - aap ko samajh sab aa raha hai lekin aap kisiko samjha nahi payenge." The tagline of the film – the mind sees all - describes it all. Directed by Sanjay Gupta and produced by Rakesh Roshan, Kaabil stars Hrithik Roshan and Yami Gautam in the lead roles. Trailer for Kaabil will be released on October 26, 2016. While, the film will hit theaters on January 26, 2017.